Happy 4th of July! Today’s card is a whimsical twist on a traditional Independence Day card. I received it from Jen LeDuc. To purchase these items or any other Close To My Heart products, visit my ONLINE CTMH STORE. 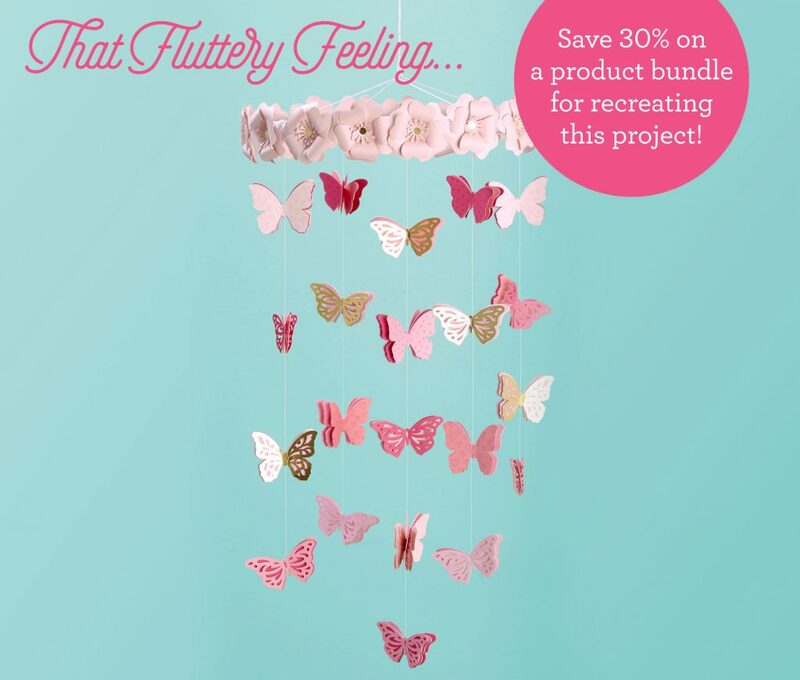 One of the amazing and beautiful projects you can make with this month’s Pretty in Pink Special is this lovely Butterfly Mobile. This video walks you through the process–step-by-step! But I figured you can never have too many handmade gift ideas, right? I especially love the one I’m sharing with you today. It’s sort of like an easy scrapbook for those who don’t want to scrapbook. It’s a Memory Shadowbox. It has a top loading mechanism which makes it perfect for inserting tickets from movies, sporting events, plane tickets, photos and more. Anything that you want to save to remember a moment. The wonderful thing about this gift is you can personalize it easily. I chose to get a 12″ x 12 ” size Shadowbox so that I could adhere a sheet of scrapbook paper to the back of the box. 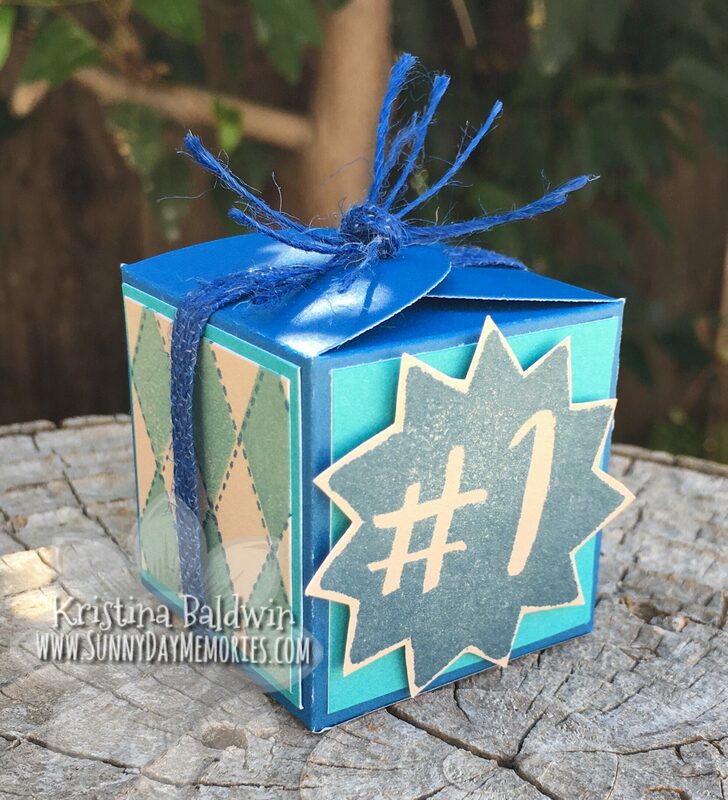 This is where you can make it perfect for the recipient–choose a pattern of paper that fits their personality. Or you could do as I did and use a basic neutral pattern so that the photos, tickets and other items are what pop in the box. I used paper from Close To My Heart’s Basics Paper Fundamentals (which incidentally are 30% off this month!) You’ll have to excuse the reflection of the clouds in my photos. It was incredibly hard to capture a photo since everything reflected in the glass of the Shadowbox! I used 3 of the fonts from Close To My Heart’s exclusive Cricut Collections. “Memories” is from the newest You Are Here Collection, “The Best Things in Life are” is from Flower Market and “the people we love, the places we go & the memories we make” is from Artbooking. Luckily, all of these collections are still available in the physical cartridge collections. 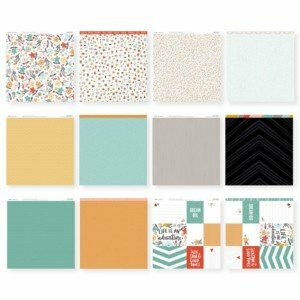 You might recall I shared the news weeks ago that Cricut announced they will no longer be producing physical cartridge collections. This means the exclusive CTMH Collections will be available on a while supplies last basis. To make creating this Memory Shadowbox even easier for you, I’m giving you the Cricut cut file. Yay! So if you have a Cricut Explore you can create this project in no time at all. Just get yourself a top-loading Shadowbox, some vinyl and your favorite scrapbook paper and you’ll be all set! Physical Cricut Cartridges are Retiring! 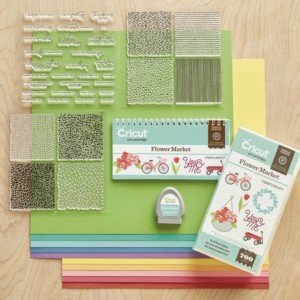 Attention all Cricut lovers! It was just announced that Cricut will no longer be making physical Cricut cartridges. What does this mean for you? 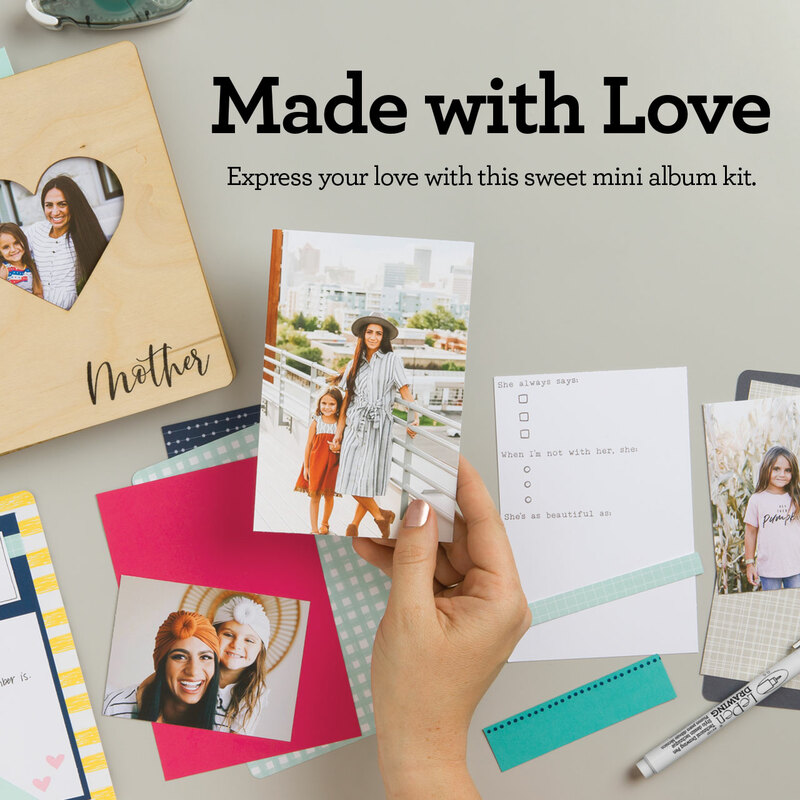 Well, if you’ve been eyeing one of Close To My Heart’s exclusive Cricut Collections but haven’t yet pulled the trigger and purchased it, NOW is the time to act! As a result of this decision by Cricut, CTMH’s Cricut Collections offered as a physical cartridge, will be available while supplies last! 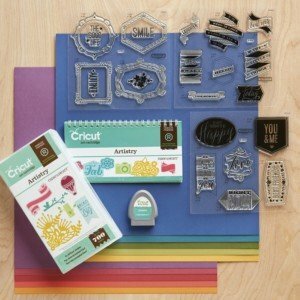 If you’ve seen these exclusive Cricut Collections, you know they are worth the cost! Not only do you get 700 images (wow! ), you get a full package of cardstock as well as 3 coordinating stamp sets. Pretty impressive. 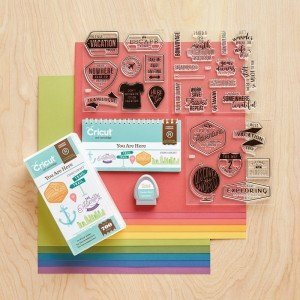 Even our *NEW* Cricut You Are Here Collection is in limited supply for the physical cartridge option. To purchase the exclusive CTMH Cricut Collections in the physical cartridge format before they’re gone, please visit my ONLINE CTMH STORE. In the latest Close To My Heart catalog–the Seasonal Expressions 2–you’ll see the first *NEW* collection is the Little Dreamer. It’s soft, pastel colors and darling prints like unicorns, hearts and polka dots are so appealing for Spring. It’s also the perfect collection to try some fun sponge stencil techniques with! In fact, yesterday Close To My Heart did a blog post on just this. 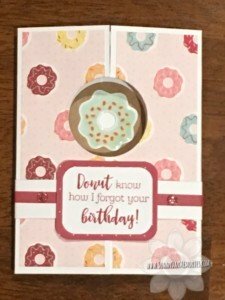 This first layout, they did a fun title using a Cricut cutout and sponging. You can also use our Thin Cuts dies, too! First, use a bit of adhesive to attach your title or shape to the page. Next use a sponge dauber or the round sponge to add ink over your title or shape, and then fade the ink into your paper. Once the ink is dry, carefully remove your stencil (if there is any adhesive residue, it’s a cinch to remove with our Rub & Remove™ eraser). For our artwork, we found it worked best to use both the round sponge and sponge daubers. We used a sponge dauber for a more concentrated look, like you can see immediately around our title, and then the round sponge for fading the ink into the page. Sponging Tip: If you haven’t used a round sponge before, you’ll want to cut out a pie-shaped wedge from the sponge rather than using the entire sponge. That way your sponging will be more precise, and you can get more use out of your sponge! We recommend playing with the round sponge and sponge daubers, as well as various amounts of ink, on some scratch paper before sponging onto your artwork. 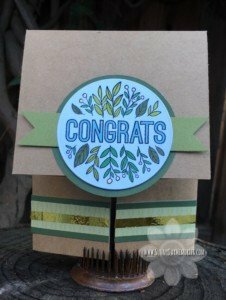 They then did a favorite stencil technique to create a beautiful background; one I love the effect of, but always forget to utilize! Look at how beautiful those clouds are. And the depth that is created through a simple technique–amazing! This stenciling technique is a great way to create unique backgrounds for your artwork. For this page, we attached three clouds to the page and sponged around them. After allowing the ink to dry, carefully removing the clouds, and removing any adhesive, we cut three more clouds and sponged around the edges. Then we popped them up with 3-D tape to give the page dimension. The final look sure is dreamy! Their final layout creates a stunning rainbow border. It’s breathtaking. You can incorporate multiple colors into your stenciling! Here we used a scalloped piece for our stencil, and then sponged on a rainbow of colors. There are SO many possibilities! We hope this post has inspired you to try stenciling on your artwork. It really is such a fun way to get in touch with your inner artist! 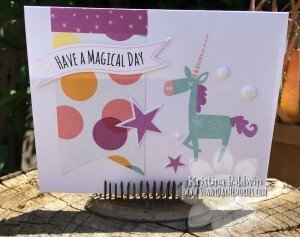 And for a listing of the products and Cricut sizes used in CTMH’s beautiful scrapbook layouts, check out their blog post. Artistry Collection and Flower Market Collection. This past Saturday, we held our Annual Crazy for Cards Event. This event is a wonderful way to get exposure to many different styles of cards, techniques and fold styles. This year we created 9 different standard sized cards along with 9 mini cards. We had 3 instructors who each designed 4 projects and 34 ladies registered. It was an all day extravaganza of card making FUN! 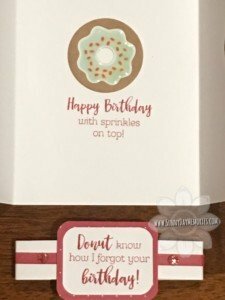 This is a Double Dutch Fold Card which focused on embossing and coloring with alcohol markers. I love how the embossed look not only gives more dimension, but also helps you stay in the lines easier when coloring. 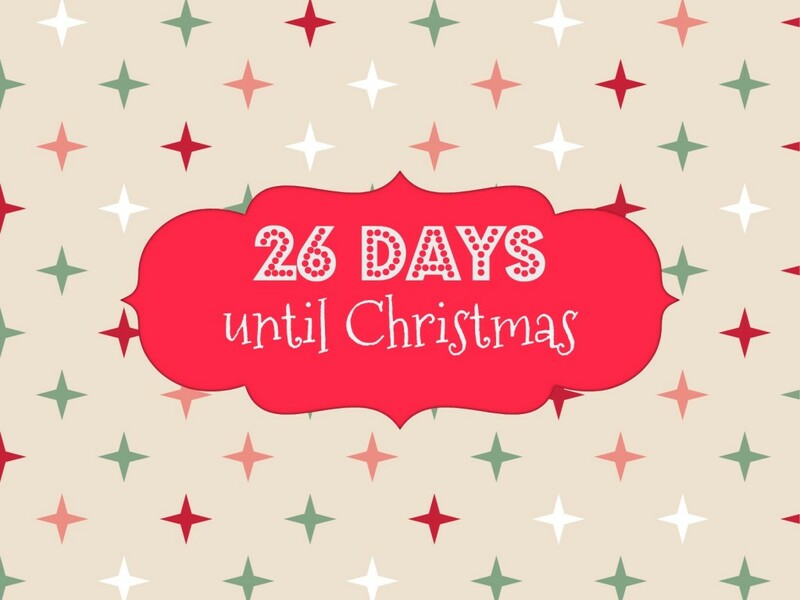 =) And you just can’t go wrong with our Foil Tape! Hi! I'm Kristina Baldwin, a Close To My Heart Independent Consultant. I love crafting - Just like you! I hope there's something here that inspires you in your next great crafting project.